This entry was posted in Algebra, Technology and tagged art, conic sections, desmos. Bookmark the permalink. Impressive results from your students! I am also using Desmos for projects in my classes. 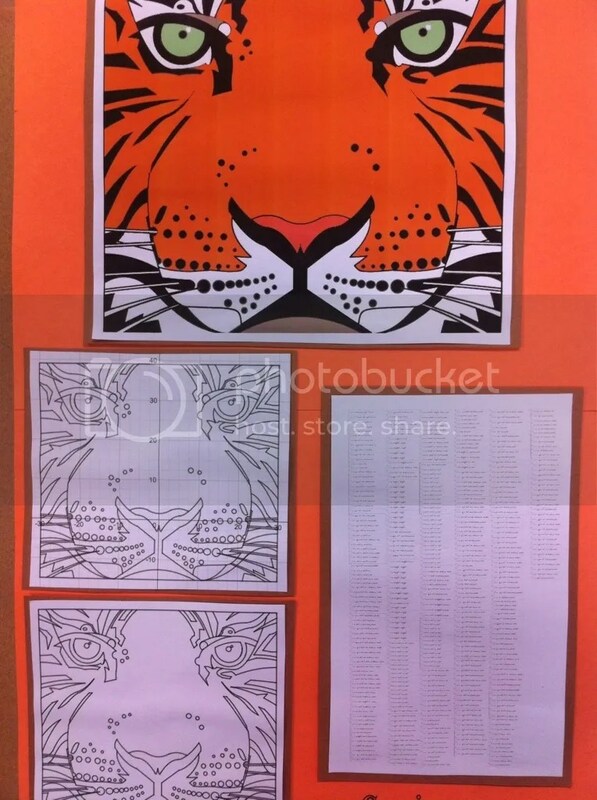 Curious to know – on the Tiger poster, were you able to find a way to export all the equations from Desmos to print out? If so, could you tell me how you did it? Thank you! There is no “nice” way to export Desmos equations right now. In the future, I am going to have students just submit a link to their Desmos creation.